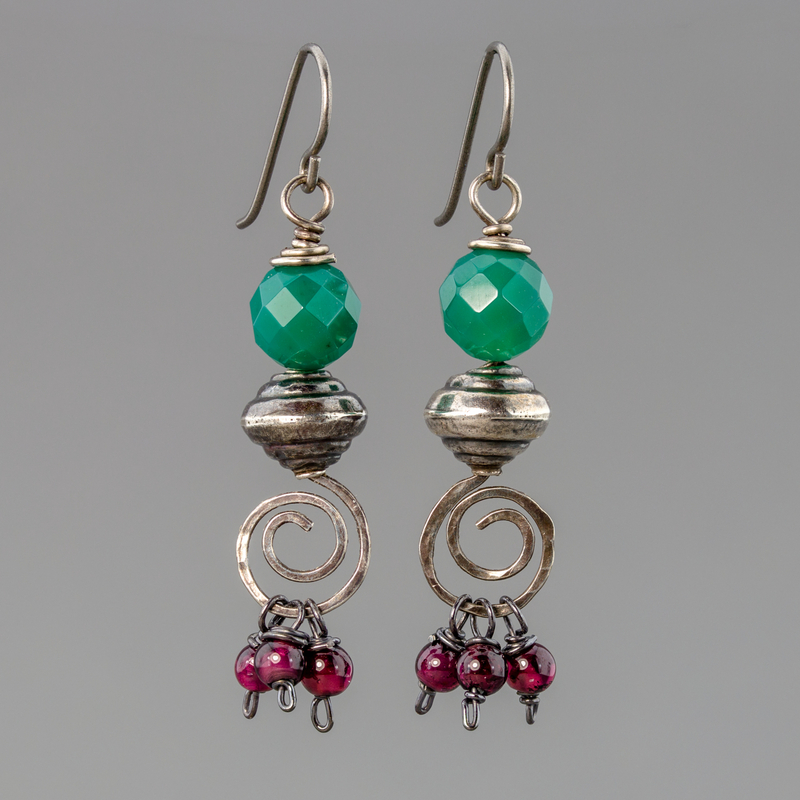 Rich emerald green chalcedony and purple red garnet gemstones add festive color to these boho gypsy style silver earrings. 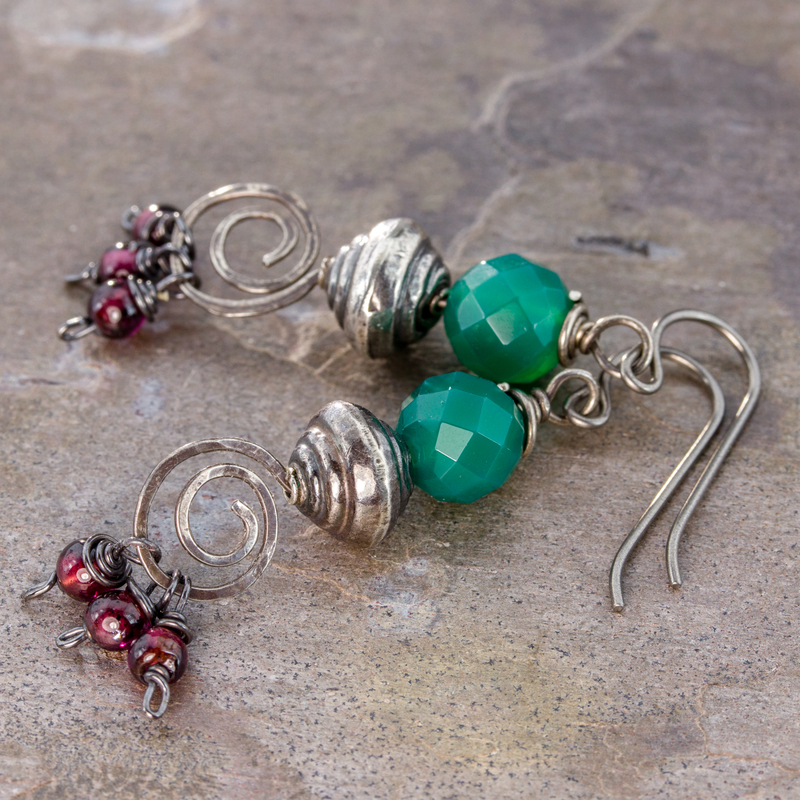 The sterling silver wire work and ridged bicone beads have a dark antiqued patina that lends a rustic ethnic tone to these gemstone earrings. 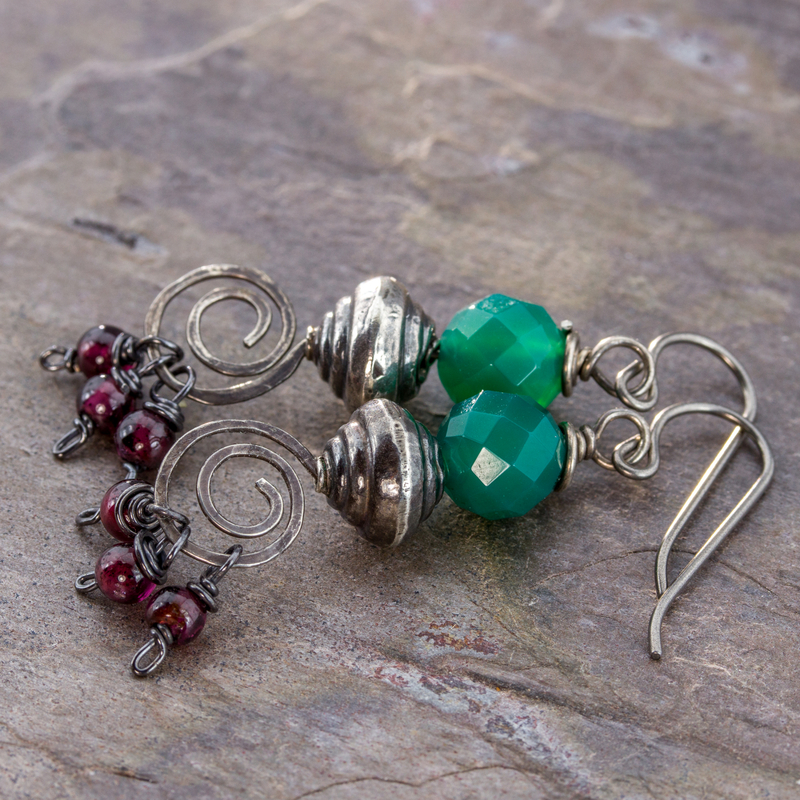 Finely handcrafted, these holiday earrings are a delightful blend of rustic, gypsy spirited elegance. Just like grandma's fine china, you'll enjoy getting them our every Christmas season for years to come. If you have a January birthday go ahead and keep wearing these chalcedony and garnet earrings through the New Year. To make these fun and festive boho earrings, I strung the faceted green chalcedony stones and the large sterling silver bicone beads onto sterling silver wire. I worked a larged spiral at the base of the wire. I hammered the silver to harden and texture the metal. 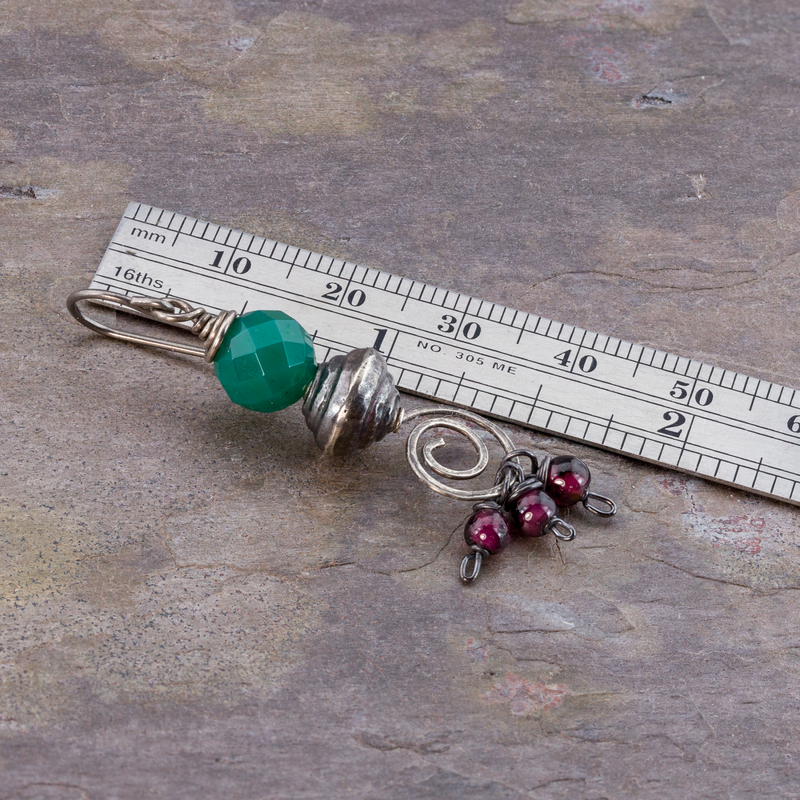 Three silver wire wrapped tiny round garnets hang like charms at the bottom of the silver spiral and gemstone drop. The antique silver finish, the dancing garnet charms, the hammer textured silver, and the dark rich jeweltones make these earrings a pair you'll reach for everyday during the Holidays. They'll dress up, too.